Make your next event (birthday party, baby shower, holiday party, wedding, etc.) 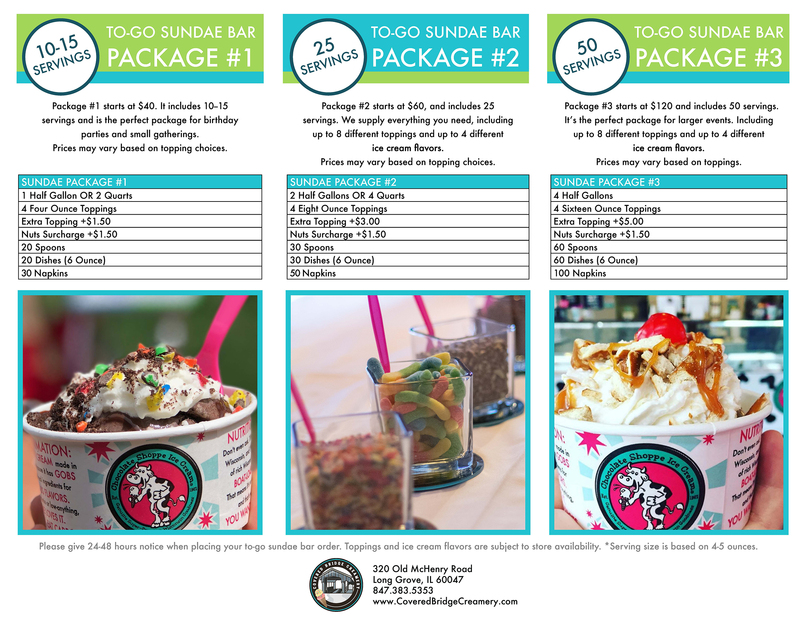 an interactive one with one of our to-go sundae bars! Let your guests build their own super premium ice cream sundaes with toppings! 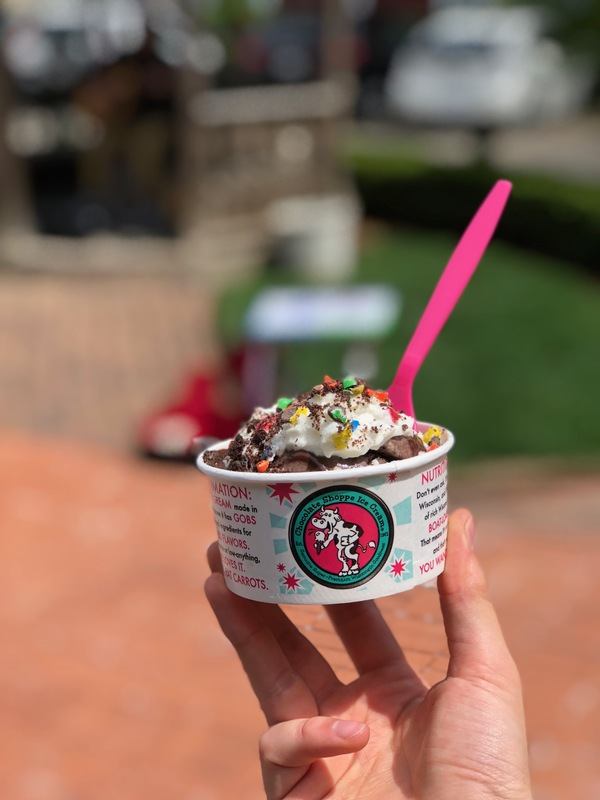 We’ll provide everything you need including bowls, spoons, napkins, super premium ice cream and fun toppings. Check out our packages below and call us at 847-383-5353 or email us to place your order! Need a sundae bar for over 50 people? Contact us for pricing.